Earlier this month, NIOSH issued one of its occasional Current Intelligence Bulletins (CIBs), updating and expanding its earlier recommendations that employers ban tobacco products in their workplaces. These warnings date back to the 1970s, and have become broader and more urgent over time along with expanding knowledge of the hazards of smoking and non-smoking uses of tobacco. It’s been over 50 years since the 1964 Surgeon General report identifying smoking as a cause of lung cancer and chronic bronchitis. Subsequent reports have expanded the list and severity of smoking hazards, added hazards for smokeless tobacco, and added exposure to secondhand tobacco smoke as a hazard for non-smokers. 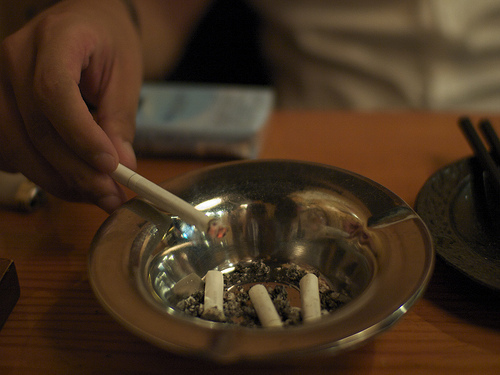 During these years, NIOSH has issued a series of CIBs, first recommending that workplace smoking be curtailed where other respiratory hazards are present (1979), then one with a general recommendation to eliminate workplace smoking and also recommending efforts to encourage smoking cessation programs and to minimize exposures to secondhand smoke (1991). This month’s CIB extends NIOSH’s concerns to cover “electronic nicotine delivery systems (ENDS)” such as e-cigarettes. What Are NIOSH’s Latest Recommendations? Optimally, employers should establish and maintain entirely tobacco-free workplaces, allowing no use of any tobacco products across the entire workplace campus. All indoor areas without exceptions (i.e., no indoor smoking areas of any kind, even if separately enclosed and/or ventilated). All areas immediately outside building entrances and air intakes. Ideally, smoke-free workplaces should be established in concert with tobacco cessation support programs. Comply with current OSHA (or Mine Safety and Health Administration) regulations that prohibit or limit smoking, smoking materials, and/or use of other tobacco products in work areas characterized by the presence of explosive or highly flammable materials or potential exposure to toxic materials. To the extent feasible, follow all similar NIOSH recommendations. Provide information on tobacco-related health risks and on benefits of quitting to all employees and other workers at the worksite (e.g., contractors and volunteers). Provide information on employer-provided and publicly available tobacco cessation services to all employees and other workers at the worksite. Offer and promote comprehensive tobacco cessation support to all tobacco-using workers and, where feasible, to their dependents. Provide employer-sponsored cessation programs at no cost or subsidize cessation programs for lower-wage workers to enhance the likelihood of their participation. Develop, implement, and modify tobacco-related policies, interventions, and controls in a stepwise and participatory manner. Get input from employees, labor representatives, line management, occupational safety/health and wellness staff, and human resources professionals. Ensure that any differential employment benefits policies that are based on tobacco use or participation in tobacco cessation programs are designed with a primary intent to improve worker health and comply with all applicable federal, state, and local laws and regulations. All workers, including workers who use tobacco and nonsmokers exposed to secondhand tobacco smoke at their workplace should know the occupational safety and health risks associated with their work, including those that can be made worse by personal tobacco use, and how to limit those risks. Has the organization identified any applicable state and/or local requirements applicable to tobacco use in its workplaces (smoking and no smoking, indoor air quality)? Does the organization provide for compliance with all applicable requirements? Does the organization have a policy governing tobacco use in its workplaces and other facilities? Does the organization clearly identify locations in its workplace and other facilities areas where smoking is permitted or prohibited? Do restrictions apply to e-cigarettes and other ENDSs? Does the organization offer smoking cessation programs (through medical/health benefits, Employee Assistance Program, etc.)? How are such programs publicized? Does the organization provide for participation at no cost to participants?